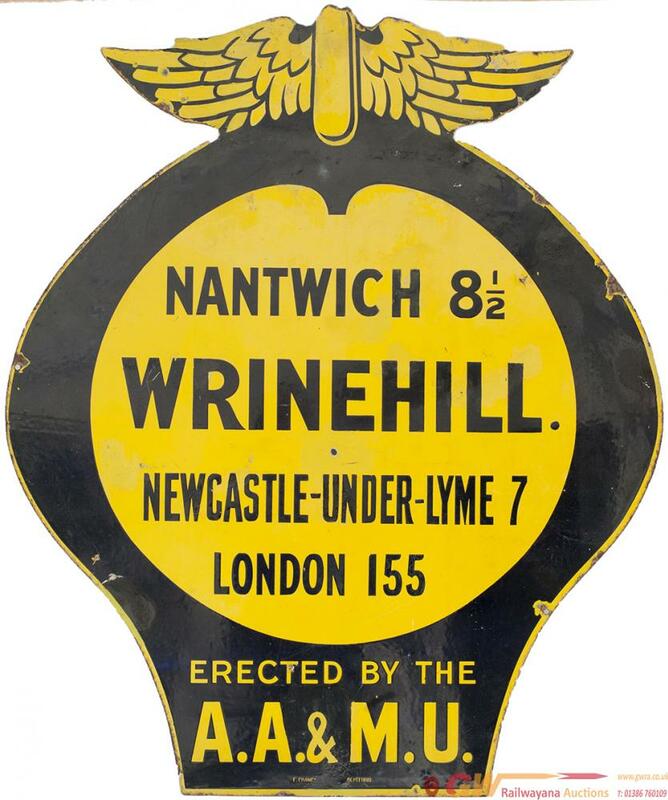 AA & MU enamel village/ town sign WRINEHILL NANTWICH 8.5 NEWCASTLE-UNDER-LYME 7 LONDON 155 ERECTED BY THE AA & MU. In good displayable condition with areas of will executed restoration. Measures 34in x 28.5in.